Finally, life is great and I am looking forward to a new season of paddling. I am a beer and wine salesman and have every weekend off and every evening. 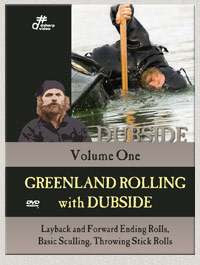 I just got Volume 1 of Rolling With Dubside and it ROCKS! I have watched it three times and highly recommend it. One amazing thing is that he rolls kayaks that seem "unrollable".